“Tibet is still a very sensitive topic, even if your story is about the environment and not politics,” said an editor, who prefers to remain unnamed, of the environmental section ofSouthern Weekly, a paper the New York Times has called the most influential liberal newspaper in China. In early April, several satellite images were sent to Southern Weekly; the pictures suggested that the fatal landslide in a Tibetan mining site on March 29 — labeled a “natural disaster” — might be related to inappropriate and illegal operations. However, Southern Weekly did not pursue the matter further, believing that the evidence was “still not strong enough” for them to address such a sensitive topic, although several Chinese and international experts believed otherwise. “There is no question that the landslide was caused by reckless placement of mine waste by the gold mining operations,” said Jack Spadaro, after carefully viewing the two satellite images taken in 2010 and 2012 that were sent by Robbie Barnett, the Director of Modern Tibet Studies in Columbia University. Spadaro is a mining safety and health and environment specialist who has had a 38-year career as an expert witness in litigation related to the environmental, health and safety aspects of mining. “Based on the available information and those satellite images, it is obvious that the accident is related to mining activities, rather than a pure ‘natural disaster’ as claimed by so-called experts,” said Yang, a geologist specializing in the west China region. China faces serious environmental challenges nationwide, and Tibet is no exception. As announced in the country’s 12th five year plan, Tibet was slated to become a mining center and a hydropower engine. While the environmental impacts of mining are well-known, those of hydropower are less so. “By 2020, the focus of hydropower development would be gradually shifted to Tibet’s rivers,” said Zhiyong Yan, the General Manager of the China Hydroelectricity Engineering Consulting Group in a 2011 interview for Newenergy.org. “Most of Tibet’s hydropower is to be sent out for the whole country’s energy needs,” he added, noting that 20 percent of hydropower produced in China could eventually come from Tibet. Hydropower is being developed in part to meet China’s goal of ensuring that non-fossil fuel accounts for 15 percent of the energy supply by 2020. However, this not only poses geological risks, especially in southwest China, but also involves environmental degradation around project sites, population migration issues, and other less obvious environmental challenges. “Hydropower is sometimes accompanied by and becomes a cheap energy supply for heavily polluting industries such as the mining industry,” said Jun Ma, the director of the Institute of Public & Environmental Affairs in Beijing, in his 2009 article, “Hydropower’s Over-expansion Will Not Help Reduce Carbon Emissions.” Indeed, the environment has been greatly impacted in both the Tibet Autonomous Region (TAR) and the greater Tibetan region. “We joked that the mountains in Tibet are becoming the bald heads of lamas, and cows are getting skinnier and skinnier,” said Nyima*, a Tibetan who used to work in the TAR for an international NGO but now lives in New York. He recalled logs floating in the Ganzi River; massive logging operations in Tibet eventually brought about the flooding of the Yangtze River in 1998. Tenzin visited his hometown in east TAR about one year ago and was shocked by the numerous hydropower projects on the river and the desertification near the projects. “I am not an expert on hydropower, but I do not need to become an expert to know it is wrong when you see hydropower stations just several or ten kilometers away from each other,” he remarked. “The problem is not development, but over-development!” said Tenzin. He believes the over-building of hydropower stations is a result of unregulated competition between different state hydropower groups fighting over profits. “People from the China Hydropower Group Fourth Bureau and the China Railway Group Seventh Bureau once fought against each other physically while competing for hydro projects; one official from the former one was injured and the project was delayed,” said Ms. Zhao, who has an acquaintance in the China Railway Group Seventh Bureau and says she learned this from an inside source. “My hometown’s new highway became unusable after just one year. Along the modern highway, because of digging construction materials, the two parties were destroyed without preserving,” said Kalsang, a Tibetan living in the Tibetan part of western Qinghai Province. “The experts did their environmental assessment of mining projects in Lhasa without visiting the actual sites,” said an anonymous source in TAR, who has a relationship with some officials from mining companies. Shakya, who lives in Lhasa, believes that although economic development is necessary, there are better alternatives to current practices in Tibet. For example, eco-tourism and eco-products like Lhasa beer could generate development, given that Tibet’s unique competitive advantage is its pristine environment. “Believing nature is sacred, Tibetans lived in peace with nature, until the shock came from the outside,” said Dolker, a young Tibetan from Yunnan. Many Tibetans believe that changes to Tibetan society have been effected by Han Chinese, who arrived in the TAR in large numbers as part of plans by China’s central government to develop the area. “Different parties, including both the Chinese government and overseas ‘human rights’ activists, always politicize problems in Tibet, making real environmental challenges untouchable,” said Gao, an environmental NGO worker in western China. He was extremely reluctant to disclose his information, worrying that any news stories coming out would pose further challenges to his NGO’s efforts to enhance environmental protection. “In Tibet, environmental problems are politicized and treated as stability problems,” said Droje, a Tibetan scholar in TAR, although he agrees that it is necessary to consider environmental challenges in a broader context. On Tibet.cn, an official website about Tibet, an article was posted entitled, “Hard to Understand: The Theory of Environmental Destruction in Tibet”. In the article, people who claim that Tibet now faces great environmental challenges are labeled political enemies under the leadership of the Dalai Lama. “When people hold protests overseas and call for a ‘Free Tibet,’ it may inadvertently help government officials politicize everything and demonize the Dalai Lama,” said Howard French, the former Shanghai Bureau Chief of the New York Times. He believes that Tibetans best advance their cause by advocating for things that are good for all Chinese people, since they share many of the same needs: clean air, clean water, and basic rights. “We international journalists want to hear more rational opinions from normal people, but almost exclusively hear politically extreme opinions,” said Mei Yang, a journalist withRadio France International. “When I was listening to my Han classmates talking in a mean way about the Dalai Lama, I was very sad and frustrated,” said Dolker. Losing hope in bridging cultural gaps, some Tibetans have given up on truly connecting with Han Chinese. There is now a vicious circle for Tibet: No Chinese or Tibetans in China would wish their names shown in any journalism stories that touch the serious challenges of Tibet, because they know any stories about Tibet would be politicized even if they just want to talk about environment; Since there are only voices of “human rights activists”, foreigners, exiles in existing journalism stories (mostly on western media) on Tibet’s problems, each story coming out makes the issue get more politicized and more intimidating for people inside China to be involved. How can you solve the problems if the really stakeholders are outside of conversation? As a Chinese environmental journalist who has two years’ personal involvement in bridging the communication gaps on this issue, I see huge imbalance that jeopardizes the understanding of Tibet’s challenges, not to mention resolving. One side is extremely silent, even though they are the real stakeholders who have important insights or real influence: Tibetans inside China are silent on Tibet issues, even if they have important information that they wish to share; Chinese people inside China are silent on Tibet issues, even if they are extremely concerned about Tibet. The other side is extremely noisy: the “Free Tibet” exile communities many of who have not even been to the modern Tibet; the westerner journalists who are banned to enter Tibet Autonomous Region (TAR) but still write based on their limited access and pre-existing ideology; and us, the readers, who become suddenly politically active when talking about how poor the Tibetans are deprived of their human rights and how awful the Chinese Communist government is. However, indeed the noisy side is who makes the silent side silent — the noisy side is the sinner in making Tibet’s many challenges untouchable while they do not have to be so, like environmental problems. As said in my recent story, Tibet’s environmental challenge is not at all special in China, and the real sinner is not the Han Chinese, but the global commercialization, although it entered through the influx of Han Chinese. Therefore, many problems are common for all Chinese, who ask for clean air, clean water, and basic rights to have a healthy life without necessarily demanding a western type of democracy. While environmental problems are seen by Chinese journalists, civil societies as an area that is not very politically sensitive and where they could make difference, while many problems like pollution, hydropower, mining could be discussed, why Tibet is different? It is different because many westerners do not want to compromise their “moral principles” “professionalism” for some people to have real benefits — “I only pursue great journalism, never think of the influence is constructive or not”, said many great western journalists friend of mine. The western journalists feel satisfied when they wrote things like “authoritarian regime” “human rights” “The hardline policy on Tibetans”, but they never consider what their stories would bring to the problems and the people in the problems. They do not want to not talk about the untouchable pains for the central Chinese government, such as some mistakes in modern Tibetan history, even if that could save the face for the central government and make it more capable of self-adjusting to fix some fixable problems at least. A more concrete example is westerner journalists’ obsession in pursuing real names in stories, which made them less likely to have voices from Chinese and Tibetans inside and more likely to have voices from people outside and sometimes with extreme political views. It is different because ideology participates wrongly — ideology like western democracy, human rights usually exists in the journalism stories written by western journalists, even they all claim to be objective. Those words do not have to be present in the articles. 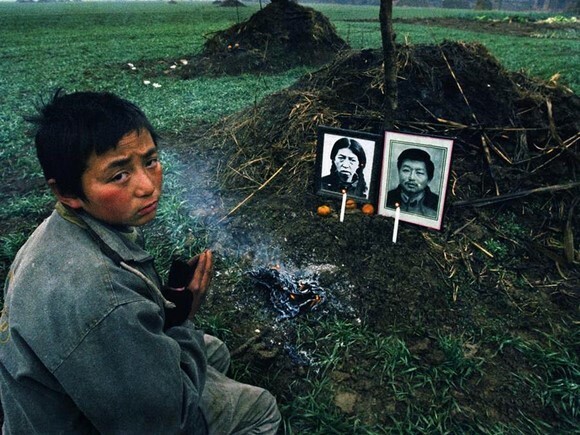 However, through the narrative, those ideologies are implanted in the stories and every story about Tibet, about China becomes a “democracy” story or a “human rights” story, which is not only not appealing but also annoying to not only the Chinese government, but also many Chinese people, including myself. Even for people like me, justice is a universal concept, love is a universal concept, but “human rights” is a narrative under ideology, and “democracy” is a narrative under ideology. The westerners do not have to believe so, but they should be aware that if you can’t put your pre-existing ideology aside, they are disconnected with a major part of China’s realities. The question is what is more important, the starting point, the moral principles to self-satisfy, or the results? Adjust your attitude, instead of criticizing, be constructive and think about feasible solutions, work with the Chinese government rather than be against it. Retweeted and reposted thousands of times online around that day, by all who still remember and love Gao, by who still want to make our world better. about Gao Yaojie (http://en.wikipedia.org/wiki/Gao_Yaojie), about us, about our future. Gao Yaojie (Chinese: 高耀潔; pinyin: Gāo Yàojié; born 1927) is a Chinese gynecologist, academic, and AIDS activist in Zhengzhou, Henan province, China. Gao has been honored for her work by the United Nations and Western organizations, and has spent time under house arrest. From her eyes, we could feel her intelligence and imagine the times when Gao was running in the vast land of China, fighting for concrete human rights and justice. From our eyes, we could feel the threat of reality: Gao is here, she could not be able to fight any more. Therefore, while many people are still suffering, there is no Gao runing and fighting under this blue and sad sky. Where is the next Gao Yaojie? What are young people doing now? What are we pursing now? Trying our best to get in Wall Street, the determined eyes of youth may look similar to Gao’s eyes, but something has changed, right? Is it the times, or is it us? You don’t need to go that far to fight Wall Street. Wall Street is near us, Wall Street is in us. As long as top students are still trying their best to get in, Wall Street would not collapse. 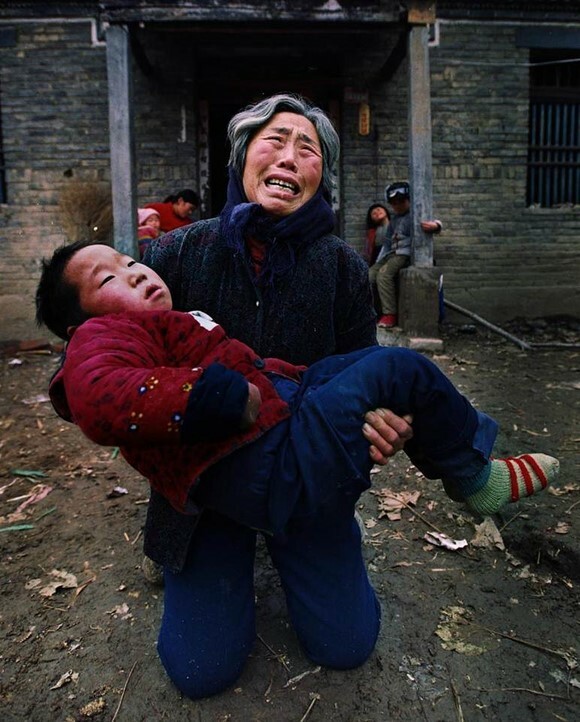 Similarly, as long as we can choose to stay outside of, thousands of AIDS villages in rural China, along with the sorrow of a grandma watching her children died from HIV and holding her little grandchildren who would definitely also die by HIV, and thousands more like her, would not disappear. And just feeling sad while listenning to such stories would not be good enough. The key is: how long could you keep your sadness, how much effort could you transfered from your sadness? Tomorrow you could again happily go shopping with your friends right? Tomorrow the food would also smell good, right? If so, this world would never be changed. If we have dream, could we also inheritate Gao’s unfinished dream? If we don’t have dream, could we start to have one? Could we? Could our future be hopeful? “The first time I heard of food stamp was in my social work class years ago. The senior social worker told us that the reason we want to give people food stamp instead of cash is that people sometimes cannot make the best choice for them, they simply cannot control themselves. They would probably use cash to buy alcohol, cigaratte even knowing it is wrong. By giving people food stamp, they would at least buy a certain amount of things that are truly good for them. But by saying food stamp sometimes make people unable to get to the optimal choice, are you suggesting even if the opitimal choice is more soda, more alcohol, more drug, less food, it is still better than the kink? When you said the fact that people can only choose kink rather than the old basket is where this policy is inefficient, I was wondering: isn’t this what food stamp is designed for? The purpose of the food stamp is maybe to drive you to the kink, right? I do understand that here saying the policy is not efficient, we assume government only cares about cost. But still I want to ask you about the “utility” and talk with you about the real situation instead of problem sets. This is part of the email I sent to discuss with economics teacher. My own background is communications and psychology, and I have studied a lot about why and how people are not rational. I am scared by economics since it is so dominant in today’s social management. In country like China, people used to rely on philosophy and history to manage society, however, now it is all about economics. And economics keeps failing us. I have been wondering why. Now the answer begins to be more clear: what if the assumtion is false? What if people can’t make the “best” choice for themselves, instead they just act by emotion and impulse, usually misled by something? What if people, even if the smart ones, can’t understand the undergoing information and do rational analysis, instead they just follow people, and follow intuition? What if people are constrainted by bias, and they fail to recognize the flaw of the system they rely on to recognize something? For many people, you can say no that’s not the truth. However, I have been studying this for long time, and I know such things are true. When it comes to crowd instead of individuals, it is even more true.